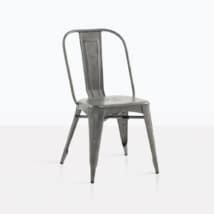 The outdoor Deco Dining chair embodies the quality and eclectic vibe of one of the most sought after styles in history. 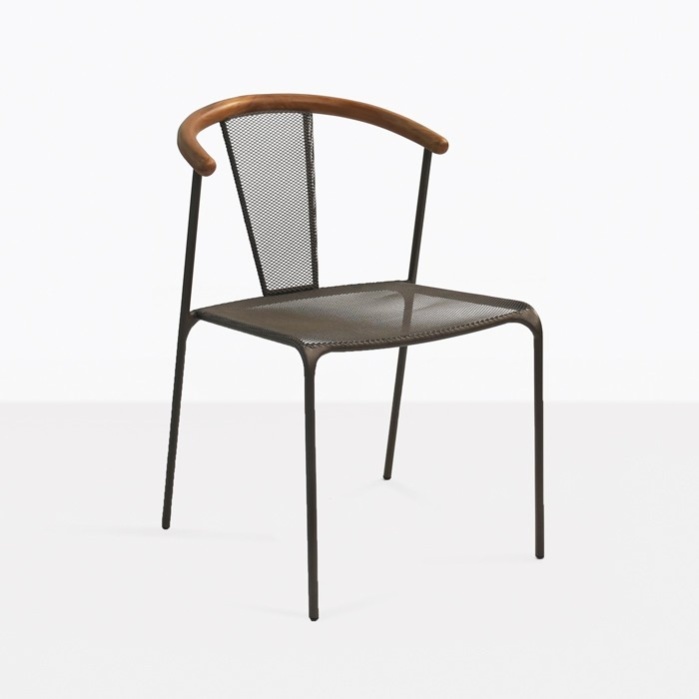 So why not make a design statement in your outdoor dining space with this sleek and stunning dining chair. 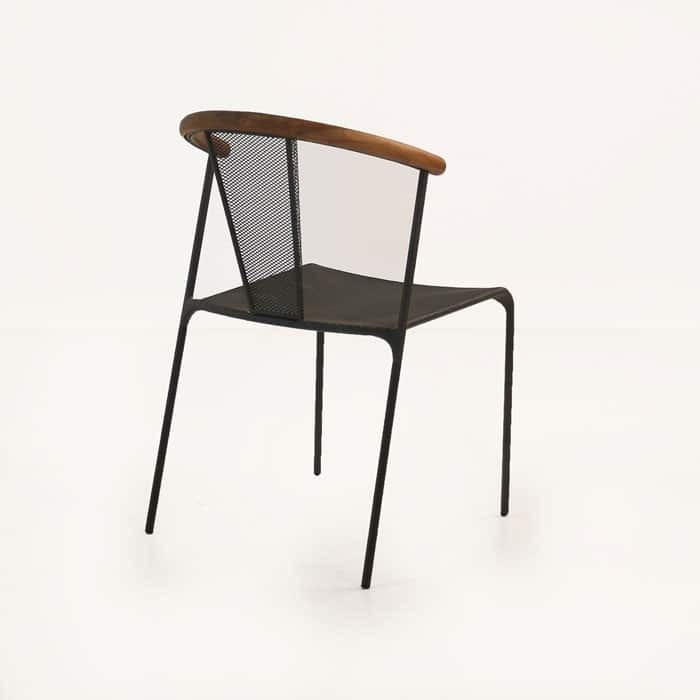 The Deco outdoor dining chair is a stunning work of art on it’s own. 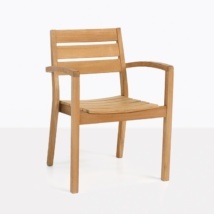 Combine it with one of our reclaimed teak or concrete dining tables to achieve a fabulous outdoor dining set. 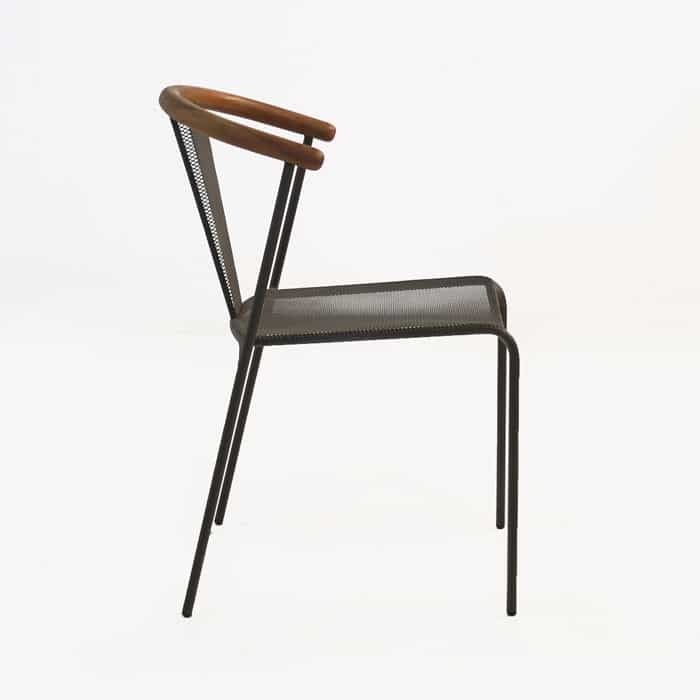 The warm tones of the reclaimed teak back go beautifully with the powder-coated steel frame. The curved lines and combination of materials follow the features of what Art Deco furniture is most famous for. W20" x D22" x H32"
The materials that we used to create the outdoor Deco dining chair are suitable for outdoor use. The reclaimed teak wood back and powder-coated steel frame are strong and durable, but also keep this chair light and easy to move. 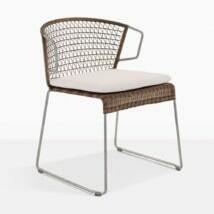 This outdoor dining chair will also make a stunning addition to many indoor dining tables as well! 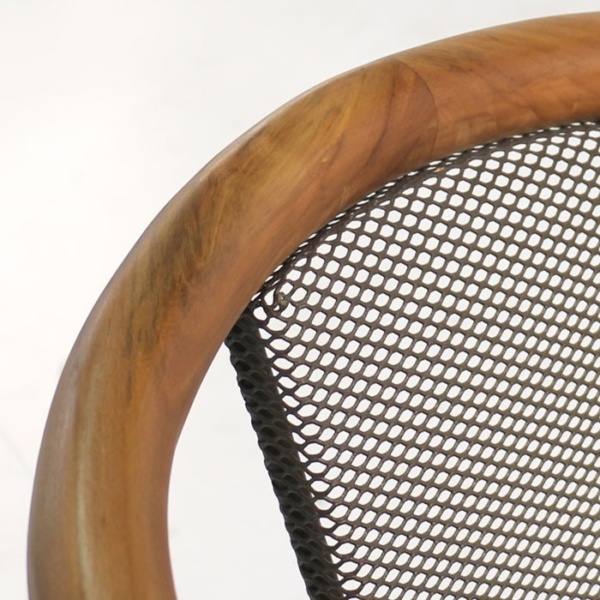 We envision this dining chair creating a beautiful outdoor dining set along side many of our concrete or reclaimed teak dining tables. If you need assistance creating the outdoor dining experience of your dreams, then please call us today. 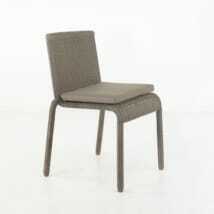 We sell wholesale outdoor furniture to the trade and public. Everything comes fully assembled and is available for pick up or nationwide delivery!